A beautiful personalised gold foil A5 wedding planner, perfect for any couple planning their big day. Each wedding planner features a beautiful hand drawn gold foil illustration on the cover. 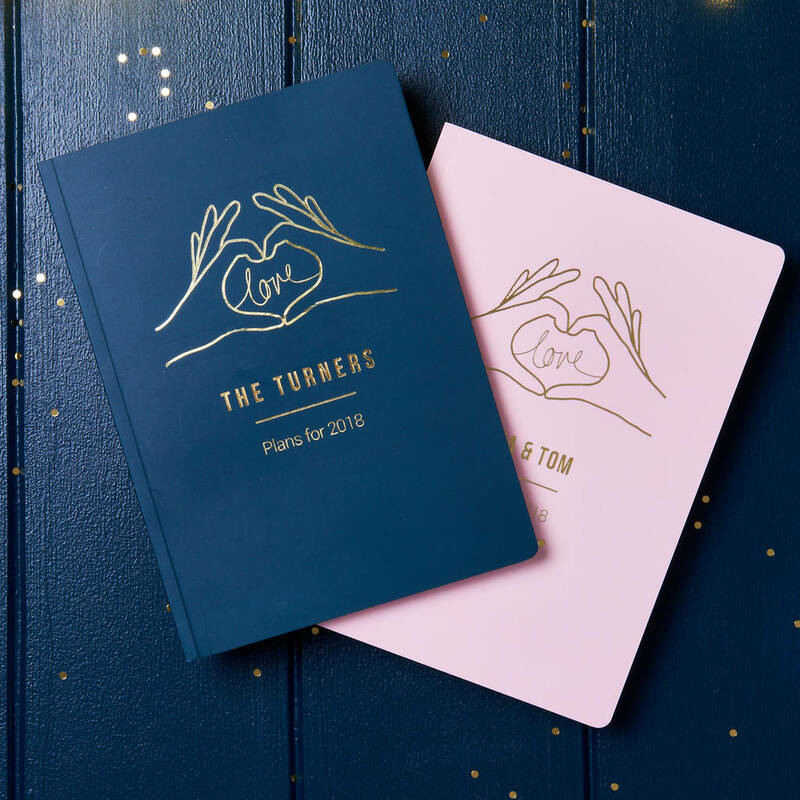 Underneath, make yours as special as your big day by personalised the text with the names of the happy couple or even the date of the wedding. 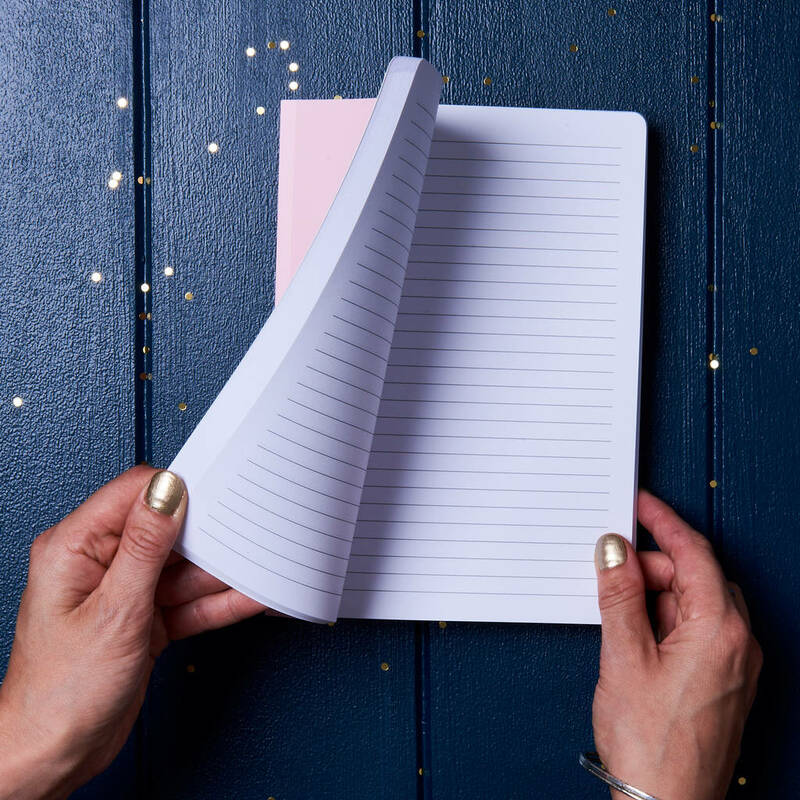 It's handy A5 size means it can easily be taken with you anywhere and at the ready for those grooms and brides brimming with wedding ideas. A great idea for an engagement gift. Choose from four colour notebooks. Approx 140 lined pages (70 sheets) inside.